Hi folks, how are you doing? I’ve been busy with everything in my life. Ah…. College really takes up to 80% of my time and it’s just tiring. Even during weekends I’m still stressed out. 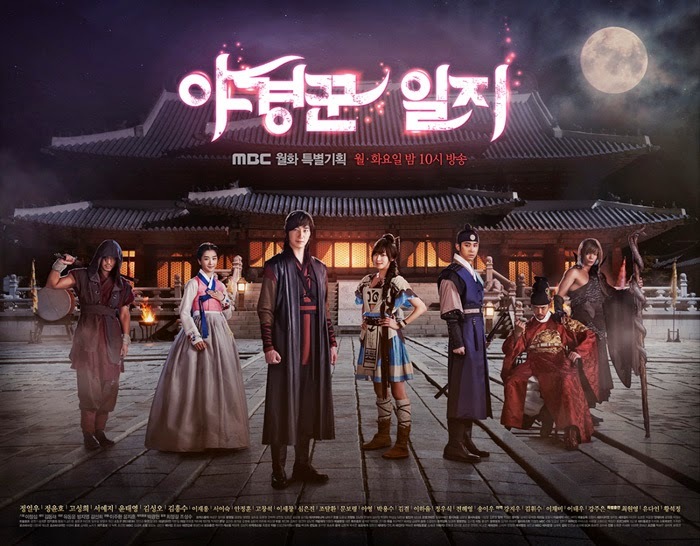 On my last post I promised to post a review of this drama before Nov 10th, right? it’s Nov 22nd now and I’m sorry I should have posted this before Nov 10th. Not gonna lie, I was busy with life, on top of that I was lazy to watch this drama because some and other things. No, don’t get me wrong. Please bear with me, read this review until the end before yelling harsh words to me. So, let’s get this started. Sorry not sorry. I’m not impressed with the lineup. I mean, they have Kim Sung Oh, Kim Heung Soo, Yoon Tae Young then BOOM Seo Ye Ji, Yunho, Go Sung Hee. I’m sorry, yea they’ve done their best filming the drama but yea…. as you can predict. Not saying that those talented actors are waste of time, but also energy. Since out of our four main leads only one who can actually act, with heavy heart I give NWJ 6 out of 10 for cast-acting-impression. I’m not saying all of them (the rest of the casts) cannot act, but since we focus more on the leads so at some point while watching, I forgot for a while that I was actually watching a Korean drama not my country drama lol (this is an insult btw). Yunho is pretty good. The only scene that I remember is that one scene where he had to cry out loud when his sister died. Go Sung Hee… ah. How to say this… The second Shin Se Kyung? Seo Ye Ji is pretty good but not decent yet (IMHO). If you read my first impression of this drama you probably remember that I said Jung Il Woo was always below my expectation. On this drama, he is great. But at some point it’s just really uncomfortable watching him. 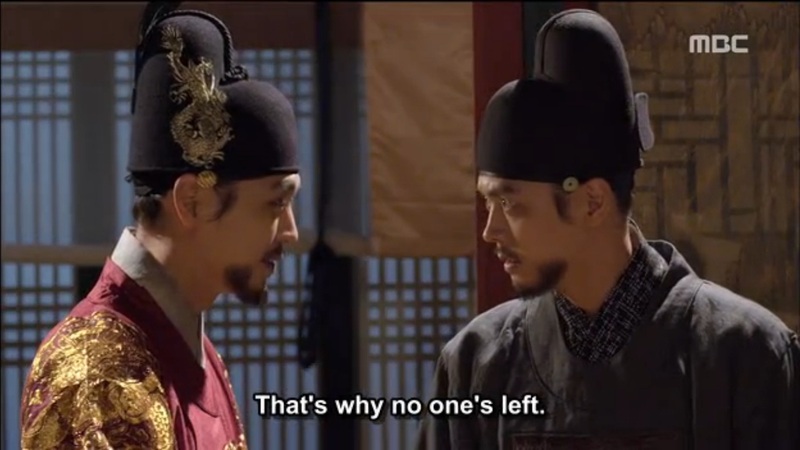 Ah… all actors who are not leads are better than the four leads, what should we do x.x Kim Heung Soo is really good. Remember him on God’s Quiz season 4? On that drama he appears on ep 5. If you say he can’t act, well… please kindly watch him on God’s Quiz ^^ Let’s not talk about the Prime Minister, Queen Dowager, Sadam and others. We all know and watch it with our own eyes that they act so well. LOLOLOL again, I don’t know how to explain this. The CG is pretty good especially the dragon lol. The CG is pretty standard though. The smoke demons that chase after people. The only episode with the best CG is episode 24, especially that one scene where Wolgang is in hell. I’ve been reading so many negative comments about this drama, saying how it’s so draggy and boring. I’ve been reading many positive comments too. I gotta agree with those who say this is a boring drama. Yes, it’s draggy. 24 eps for this type of drama is kind of too long. They could do it better if it was only 18 or 20. For my liking, too many unnecessary, boring, absurd scenes. Hands down, their first 3 eps are the best out of all 24 but it goes downhill from there. Ep 18 is bad, ep 19 is WORSE! It’s just really out of place and so many nonsense things that happen. I hate it that Wolgang is not smart at all. I expect him to be smarter since he can see ghost, he should have made better use of them. Remember that ghost of his mother palace maid? Sadam is really evil but it’s ridiculous in the same time. With all the spirits that he bring into his world to achieve what he wants, from Queen of smallpox to that ghost who can manipulate one’s mind, and it’s just too funny that these ghosts supposedly to be very very very hard to destroy (?) but Wolgang and friends destroy them waaaaaaaaaaaaaay too easily. I must admit that i love the idea of the “second king” or you can say “the shadow” of the king. I think it’s really a brilliant idea to portray the anxious king even more. It’s his own mind that creates “the shadow”, that’s why noone can see “the shadow” not even Wolgang. That shows how he’s so nervous all the time, that he’s only a puppet king, how unloved he is. The genre of this drama is not everyone’s favorite. It’s kind of heavy with their supernatural storyline. Not everyone can pull off this type of genre so it’s either going to be hit or miss. For me, really honest, the drama is boring /I slept few times watching this/. It feels like something is missing throughout the drama, like something should be there to complete it but it’s not there. Plus, the creepy acting from their leads it just makes everything worse. The plot is very promising on their pilot ep, they are still strong up to ep 3 and it just goes downhill from 4 until the end. Remember this scene? Crazy! Goosebumps!!! The legendary scene where Do Ha is trapped in a painting, do you guys remember that? That’s ridiculous but funny in the same time. And also how they “get out” of the painting is also absurd. “Waterfall? Okay let’s search for the waterfall and we can get outta here.” Oh man, seriously? I only like G.Na’s song…. Changmin’s 사랑한다 그말을 못해서 is also good. The other 6 just don’t appeal to me. “I Am Saddam” gives off such a terrifying feeling, like bad thing’s going to happen lol because in the drama everytime Saddam appears bad things always happen ahahaha. I like “The Roar” then “Meteor Shower” too. I don’t know I just like this type of music. “ 가슴에 묻는다” and “Karma” are related (slower version??) of “Meteor Shower”.Some of the tracks remind me of Secret and Joseon Gunman VA in some ways. I spent the whole day yesterday just listening to the VA of these 3 dramas LOL.